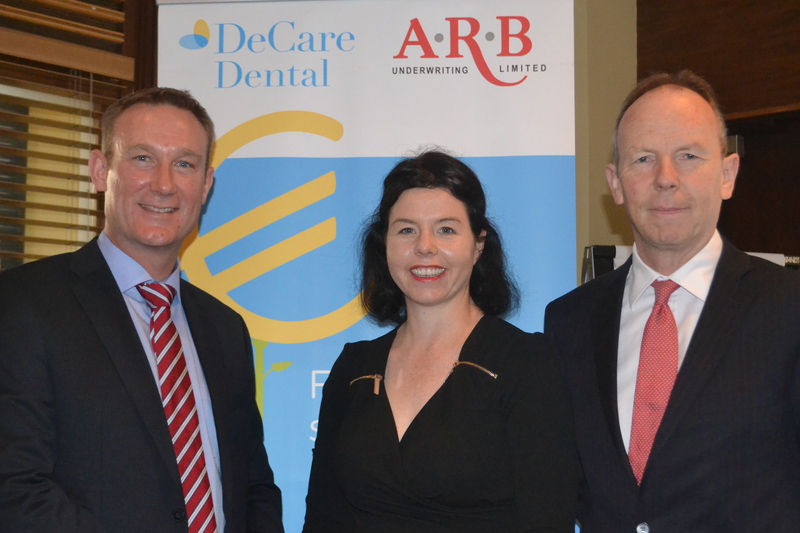 November 2014: DeCare Dental Insurance continued its market development strategy this month by partnering with ARB, a leading Wholesale Insurance Provider in Ireland. Representing over 350 brokers nationwide, ARB will provide significant access to Irish consumers, who can now avail of DeCare Dental’s Healthy Smiles Range of Plans through their local broker. DeCare Dental and ARB have jointly launched the service to ARB brokers this month through a nationwide road show and brokers will begin selling the Healthy Smiles products from November 1st. “This marks a significant milestone for DeCare Dental in Ireland”, commented CEO Maureen Walsh, “Our key objective in the past year has been to increase access for both the consumer and corporate markets both in a direct and indirect capacity. 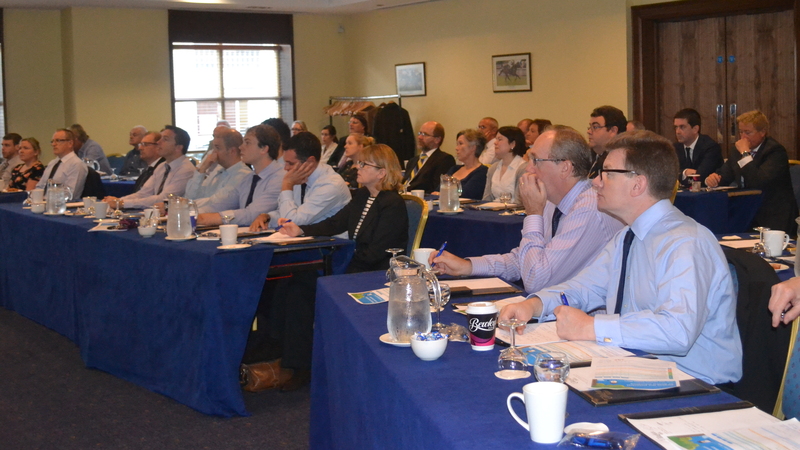 This partnership with ARB helps to excel this strategy and will allow consumers all over Ireland to purchase or learn more about dental insurance through their broker. We’ve had a great response from the ARB broker community, who feel that our dental insurance proposition is an excellent fit for their customers. 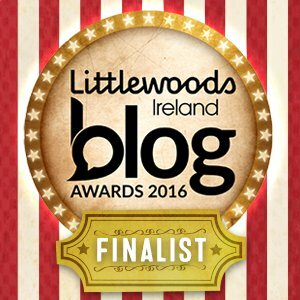 We’re really looking forward to continuing to develop this exciting relationship”. DeCare Dental’s Healthy Smiles Range of Plans will be available through ARB brokers in 4 levels to suit all budgets and oral health needs. Annual prices start from €114 for adults and from €78 for children for Healthy Smiles Level 1 Plan, which provides 100% immediate cover for dental exams, dental cleanings, x-rays and emergency treatment. Members can then choose higher plan levels to add cover for procedures such as fillings, extractions, root canal, dentures, crowns and orthodontics. The plans feature additional benefits for kids including sealants, space maintainers and stainless steel crowns. DeCare is a specialist dental insurance provider with over 10 years’ experience in Ireland and is a subsidiary of DeCare Dental LLC, a global benefits management group with over 40 years of proven success and more than 9 million customers worldwide. DeCare is owned by WellPoint, one of the largest health benefit companies in the United States and a brand that is recognised for innovation and service. In Ireland, DeCare combines this global strength and experience with local product, service and oral health expertise, assuring members of a friendly, professional and dedicated service at all times. Founded in 1991, ARB has become a leading Wholesale Insurance Underwriter in Ireland, trading solely with insurance brokers. ARB’s principal business activities are Motor, Commercial and Travel Insurance underwritten by a number of prestigious Insurers. The company also offers brokers access to Personal Accident & Sickness policies and Events Liability cover. In 2011 IFG Group plc (IFG) acquired a majority shareholding in ARB Underwriting Ltd and AR Brassington & Co. Ltd. IFG Group plc is a leading provider of financial services in Ireland with a significant international reach and a market capitalisation of circa €200m. IFG provides the platform for ARB Underwriting to strengthen and expand the range of products that it provides to its brokers.